'You have 24 hours to leave the plaza"
On a inconspicuous late 80's model Toyota Camry, with California plates, authorities found an narco message, scrawled in black pen on a piece of paper, taped to the windshield. 'Luis, you have 24 hours to leave the plaza or this will keep happening" -The Black Belt, were the contents of the note. 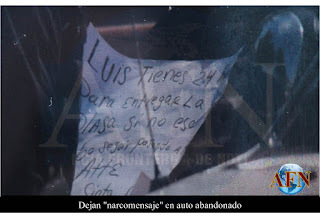 The message was found near the international border, where a metal mesh fence divides the countries, and very close to Zona Norte, the lucrative red light district, on of Tijuana's biggest retail drug distribution points. 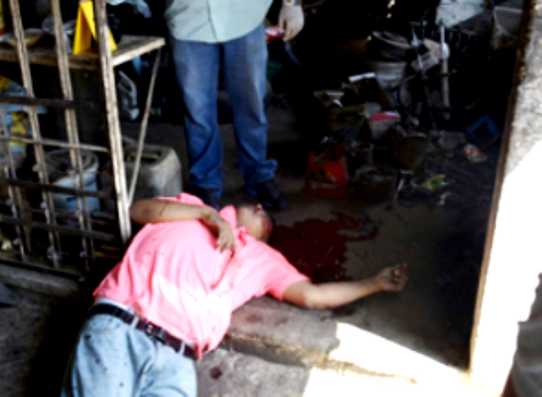 An area that has been in contention for years, a long held CAF zone, has been in chaos since the murder of Luis Manuel Toscano, 'El Mono' earlier this year. Mono was murdered with his in bodyguards, moments after leaving an appointment with his parole officer in the La Mesa district. His murder set off a series of murders and public killings, including narco messages and the killings of women and children. It is said that Mono was merely a minor player, whose family and CAF old guard really controlled the plaza. Mono was known for causing problems, numerous arrests, drug use, and the sexual abuse of women. 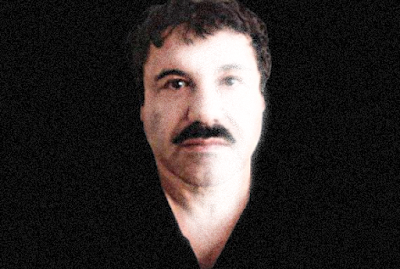 Together with his capacity to escape from prisons, one of the characteristics most notable of Chapo Guzman is his performance in war, a permanent condition in his type of business. He fought against the Juarez Cartel and today Amado Carrillo Fuentes, El Señor de Los Cielos, is dead. 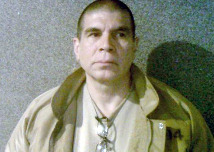 He warred against the Gulf Cartel and their top Capo Osiel Cardenas Guillen, " El Mata Amigos" or the "friend killer", who currently lives in a cell in Colorado's super max facility in the United States. He fought against Los Zetas and his major enemy Heriberto Lazcano Lazcano, "the executioner", who fell under Military fire. 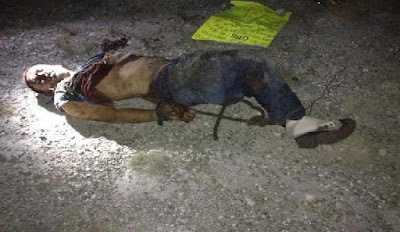 He betrayed the Beltran Leyva Organization and their leader, Arturo, "El Barbas" who is also dead. The same occurred when he other-threw the leaders of the Tijuana Cartel, at one time considered the major cartel in the world for movement of drugs and who made the first recruitment of Sicarios with the intention of starting a drugs war. He sent his squadrons against "El Chapo"....... a bad idea. DD: Lucio's title to the podcast "If you think you know what is going on in Mexico, you are misinformed" just about says it all. Mark Twain made a similar statement that would apply to Mexico; "If you don't read newspapers you are not informed, if you read newspapers, you are misinformed. Yahoo News printed 2 stories on the eight family members killed in Chihuahua, one was from the news agency AP and one was from the AFP agency. The AP story said all the victims were stabbed and had their throats cut and said officials denied there was any decapitations. AP said the bodies were dumped in a deep gully. AFP said the bodies were decapitated and left at different places along a road. 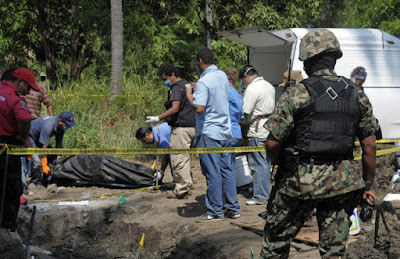 The only significance of the difference of the 2 versions of what happened is decapitations have traditionally been associated with 2 cartels fighting over territory. 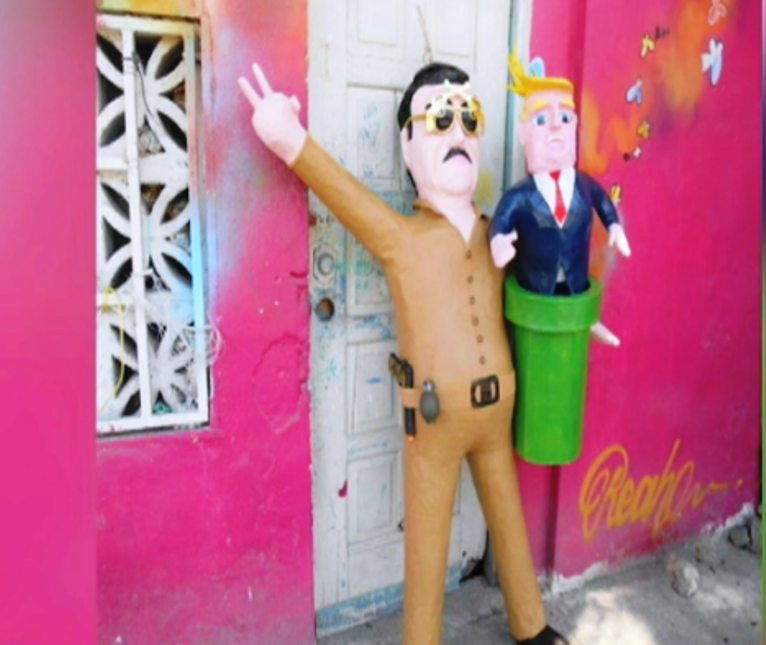 This took place in an area known as the Golden Triangle which has experienced extreme violence in the Senaloa/Juarez cartel battles for control of the Juarez plaza. 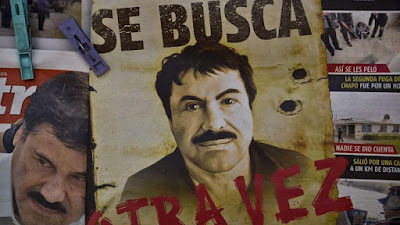 AFP made the statement "US law enforcement officials suspect that Sinaloa drug cartel leader Joaquin "El Chapo" Guzman is hiding in the region following his July 11 escape from prison". 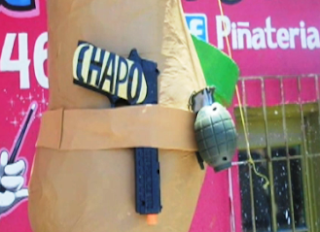 Several commentators and "experts" have predicted increased violence following Chapo's escape as he seeks to reinforce his hold on existing territories and that he may try to expand by going after a Texas trafficking plaza as he has wanted for years., .If he does, that would likely be Juarez. 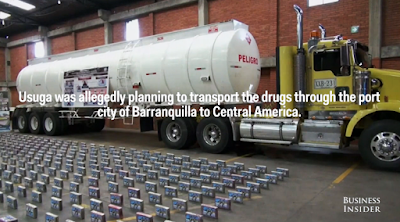 The product was taped, color coded and packaged for shipment to the United States, through the San Ysidro or Otay Mesa crossing, where 70% of the meth in the country comes through. 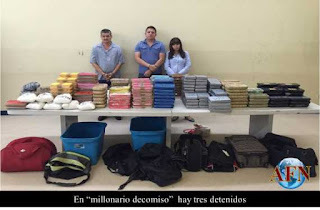 The couriers were well dressed, professional, and had the look of Sinaloense, no surprise as the hundreds of kilos in crystal, coke, and heroin was from Sinaloa. The owner, or person in charge of crossing the product (delegating the process) was Jose Gastulem Soto, 'El Tigre', a prominent trafficker in Tijuana, who despite having his name on the DEA's list of top Baja/San Diego traffickers has eluded capture and kept a mostly low profile. Tigre comes from the post 2008 world of the Tijuana plaza, a onetime enforcer of Teodoro Garcia Simental, 'El Teo', who along with the Azarte brothers, have risen to become the most wanted in the state. Soto is not publicly named in any unsealed US indictments, out of the Southern District of Califronia, or anywhere else in the US. He managed to avoid Operation Narco Polo, which indicted the Azarte brothers, Los Antrax, Chino Antrax, Serafin Zambada Ortiz, and a dozen plus other significant active traffickers. 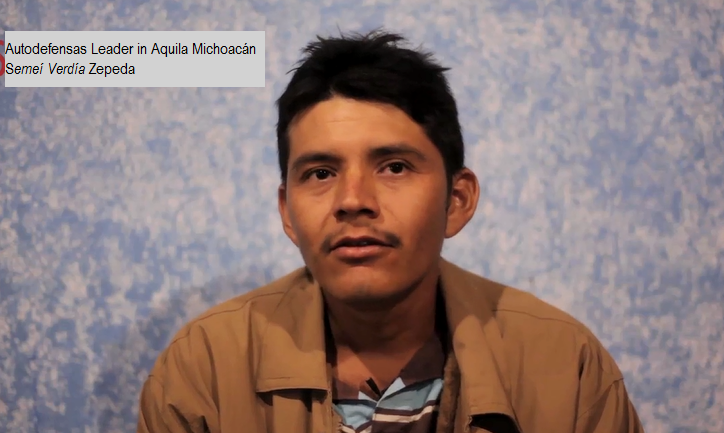 He is thought to have influence in Rosarito and Tijuana. Tigre fought against the Sanchez Arellano people in earlier years, as well as Aquilles, and other fallen cell leaders, like El Cuervo and El Guicho, in the confusing world of retail drug markets and competing cells under the same banner. 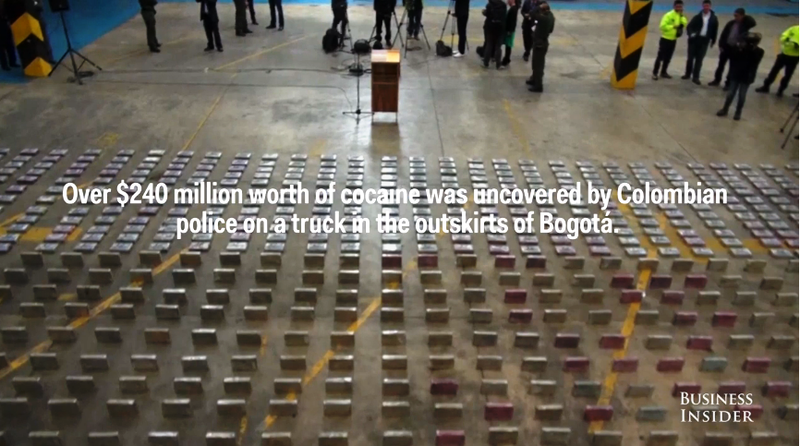 In total, the load contained 108 kilos of crystal, 46 kilos of cocaine, and 43 kilos of heroin. An expensive shipment, both across the border and in Tijuana. Roughly estimating the loss through an imperfect, but mostly accurate process....Pounds of crystal go for roughly 3,000 directly across the border, gaining value of course, the further they travel, whether it be Los Angeles, or the crystal ravaged Inland empire. Podcast: "If you think you know what is going on in Mexico...You are misinformed"
In this podcast, Guillermo Jimenez speaks with journalist and author Ioan Grillo, as they explore "facts" of the El Chapo prison escape, and rumors surrounding the event. Grillo probes into the outlandish and the plausible in this entertaining and honest exchange. Of course corruption and mistrust by the people are a part of the discussion along with along with the much discussed on BB, “Bald-Gate”. Jimenez brings up a SinEmbargo article, which he mentions was translated to English by Borderland Beat, follow this link to read the post, Translated by “Valor”. Apologies to BB readers for having to post in this format, Blogger is not capable of posting audio, so we went around the problem by "tweeting" the story. 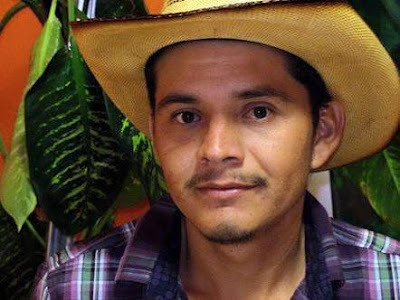 Salvador Jara, the graduate from the Fausto Vallejo University of corruption, the PRI Governor of Michoacán made good on his threat to assure indigenous autodefensa leader, Semei Verdía, remains incarcerated. He presumed Verdía would be locked up for the foreseeable future, but was dealt a blow when the federal government determined the case against Verdía lacked evidence. That is zero evidence, as none was presented. Verdía was ordered released by the court. Jara was incensed and said there would be new charges filed, this time from his puppet administration. He followed through on his threat. Verdía was re-arrested at 11:30 pm, as he was leaving the prison in Tepi, Nayarit, where he was held since the July 19th arrest. According to the state agency, the warrants were issued by two separate criminal courts in the state. 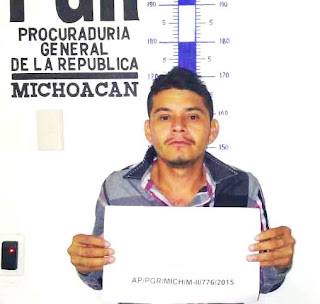 After the new arrest in Tepic, Verdía was immediately transferred back to Michoacán, to the Mil Cumbres State prison in the state capital of Morelia. Without providing details, PGJE stated that the crime of robbery originated from the city of Aquila. In this video I would recommending beginning around 1:30, before then is wasted shaky footage. View the video keeping in mind the government said those killed and wounded, mostly children, was due to the firing of weapons from armed citizens. They had to revise the story after videos appeared showing citizens were not armed, except for those armed with black painted sticks. 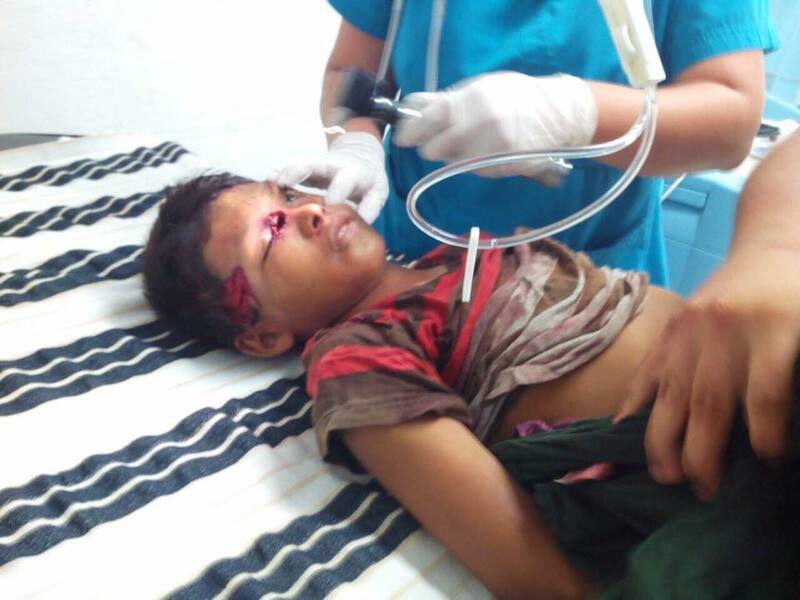 The government then said government forces, “shot into the air”, which may have resulted in some people being hit. Witnesses, including tourists said soldiers indiscriminately shot at anything, buildings, people outside, anything. Some people were hit simply sitting inside their homes. This action by federal forces goes even beyond extrajudicial killings of late, these amount to the slaughter of innocents. 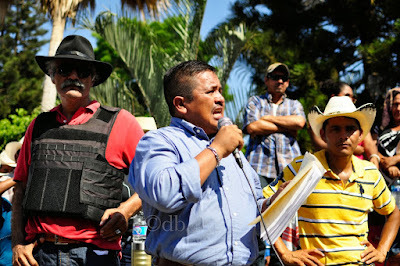 This event stemmed from the arrest of the Indigenous autodefensa leader Semei Verdia on July 19th. BB readers on the ground in northern Coahuila have been reporting extrajudicial executions and kidnappings by police groups in the state. Coahuila is one of the blackout narco news states, limiting factual reporting or a complete lack of reporting on most stories. BB has several reliable sources on the ground that send us information, and beginning 8 months ago we began receiving emails and comments from people on the ground expressing fear, while reporting the Coahuila state police groups known as GATES and Policía Estatal Acreditables have been killing and kidnapping people, and not solely the bad guys. According to citizens, the “disappearances” have been indiscriminately selected, innocents, young, old, female, male, In numbers as much as those connected to criminality. 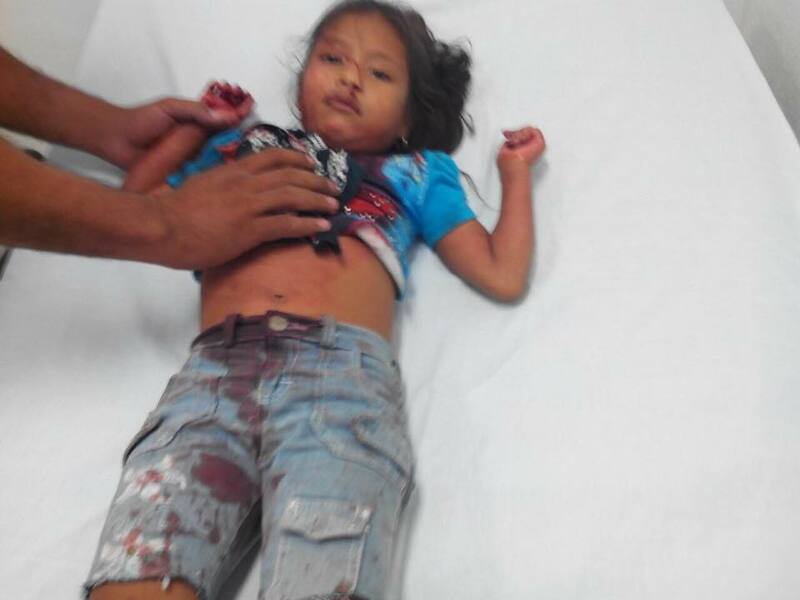 The bulk of the violence is occurring in; Piedras Negras, Nava, Allende, Morelos in the area of Cinco Manantiales (Five Springs), and to a lesser degree Acuña. Piedras Negras, Mexico (July 25, 2015) .- The violence caused by the drug war has had a resurgence in northern Coahuila. The awakening of what the authorities themselves have called 'the monster' of drug trafficking has resulted in executions and shootings. In Piedras Negras, at least five innocent civilians and a suspect were injured after a clash sparked yesterday morning. Through a statement, the State Security Commission reported that the incident occurred during a patrol.. 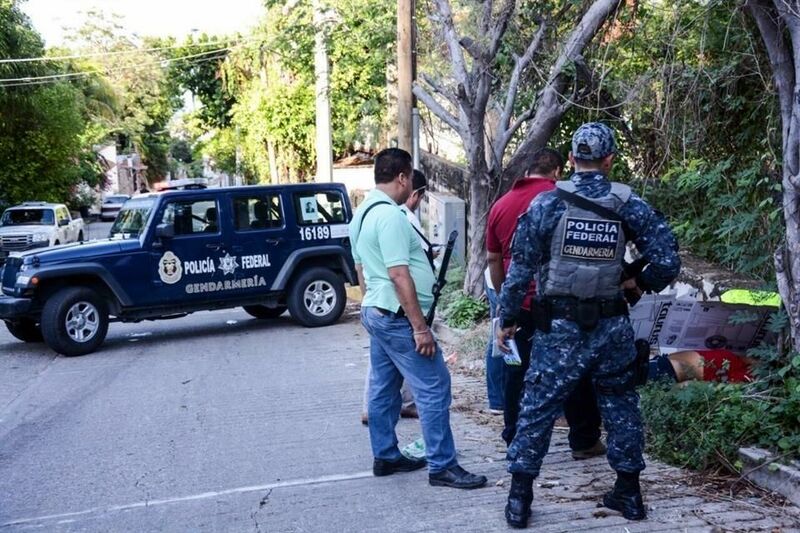 Riding on Boulevard Eliseo Mendoza Berrueto, agents of the Group of Special Weapons and Tactics detected a Jetta car with plates of Coahuila. Officials said the car matched the description of a car that had been reported as involved in depriving a person of their liberty. The officers signaled the Jetta to stop and the suspected criminals fired on the agents. and the agents responded to the aggression with gunfire. In the shooting one of the criminals was wounded, while the other two were arrested on the spot. 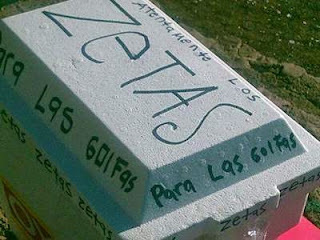 There is an uptick in violence in Zacatecas, as Zetas have returned with even greater force than before. Cartel Monterrey (CDN) has been on the ground in Zacatecas supporting Los Zetas. 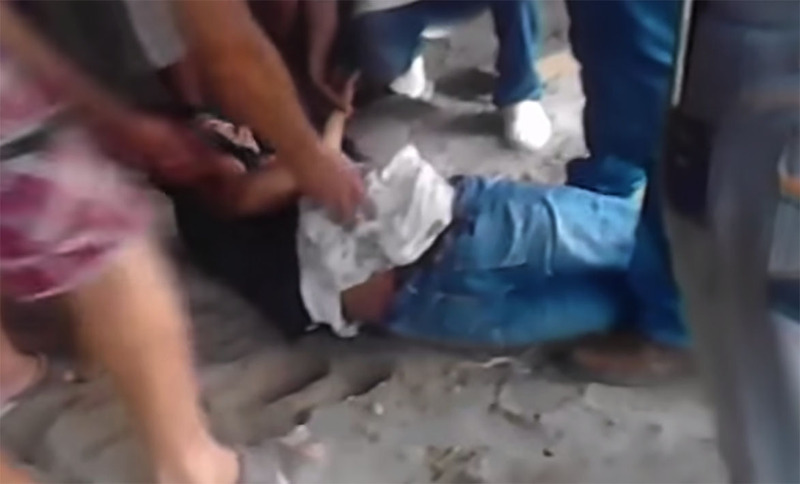 Beheadings and the video taping of the gruesome atrocities, have made a comeback. After the discontinuing the practice of decapitation video publishing, the violent conflict in Zacatecas has resumed the practice. Promises are made by the government and then they are forgotten all too often in Mexico. Maybe, just maybe the new Attorney General for the State of Jalisco, Eduardo Almaguer, may keep his. An operation has been launched to find the "nearly 2,000 people" reported missing in the western Mexican state of Jalisco, state prosecutors said. The operation started on Saturday, with some 100 agents visiting the homes of victims to try to determine their whereabouts and close the cases of people who have been located, the Jalisco Attorney General's Office said. "With actions like this, we are following through on the commitment we made to Jalisco's residents to work to protect their security," Attorney General Eduardo Almaguer said. Almaguer replaced Luis Carlos Najera as the state's top law enforcement official in early July. 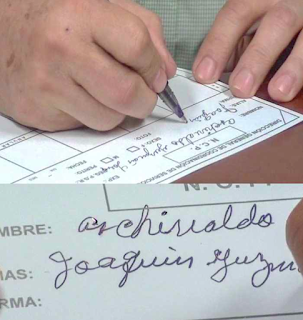 The operation comes after the AG's office and the state government denied for more than two years that disappearances were a problem in Jalisco, which ranks No. 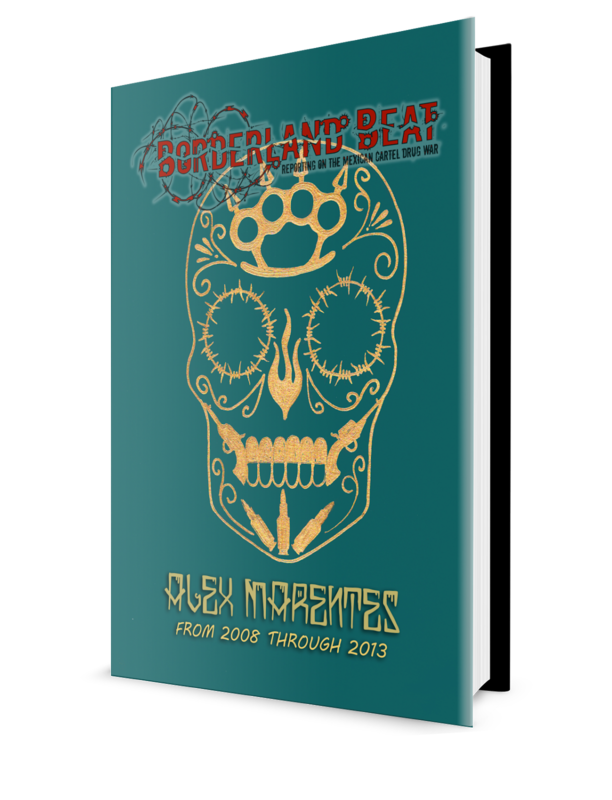 2 in Mexico in terms of forced disappearances, trailing only the northeastern state of Tamaulipas. 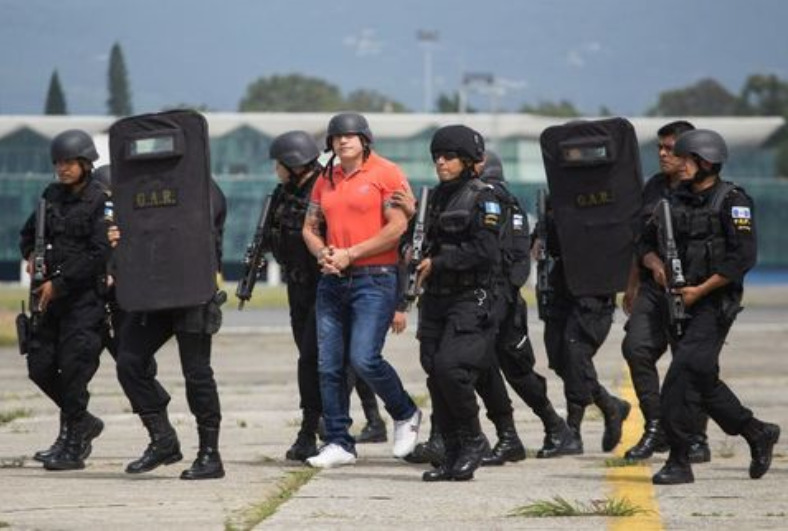 Jairo Estuardo Orellana, alleged Guatemalan narco trafficker, was extradited to the United States, under tight security, he was taken into custody by Agents of the DEA. 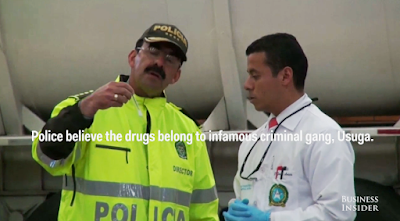 Orellana is required by the Court of Colombia, Virginia, for the crimes of conspiracy to use fire arms to traffic drugs in the United States. The Government vice-Minister, Elmer Sosa said to the Association Press that the Government were satisfied with the capture. According to the 200 count indictment, a Tijuana airplane broker, Vicente Contereras Amezquita and 8 others conspired through 2007 until 2012 to facilitate the purchase of Cessna airplanes for drug traffickers. The 44 year old Amezquita was arrested last week, and in federal court yesterday, he remains in custody awaiting a detention hearing on July 30th. The indictment alleges Amezquita and his conspirators laundered 3.6 million dollars in drug proceeds, in the 5 year time period they were operating. The conspirators engaged in "convoluted financial transactions" to purchase Cessnas and plane parts, including tires. The deposits were all made in increments of under 10,000 to avoid scrutiny, in a process known as structuring. The payments, deposits, and transfers were made from 46 different bank accounts in 5 different states in the 5 year time span of the alleged conspiracy. The charging documents state that Amezquita picked up the drug proceeds in strip malls, parking lots, fast food restaurants, and airplane hangars. This is very similar to the way the defendants in a another money laundering case out of Chicago conducted their business. That case was unsealed in March, 2015 with over 60 indicted in a complex gold for cash laundering scheme, with traffickers bringing cash to money laundering cells, connected to trafficking groups in Sinaloa. The San Diego indictment alleges the purchase of 35 planes during the course of the investigation. This unsealed indictment comes months after Operation Narco Polo, a massive far reaching operation that indicted most of Sinaloa's upper management, and San Diego distribution cells. 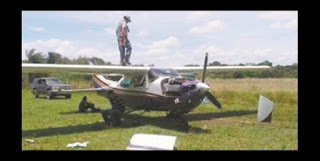 The indictment states that traffickers favor the 210 Cessna model plane to run drug shipments, assumedly places like Guadalajara and Sinaloa to Baja California and Sonora. US authorities gained control of a "narco-submarine" filled with eight tons of cocaine. 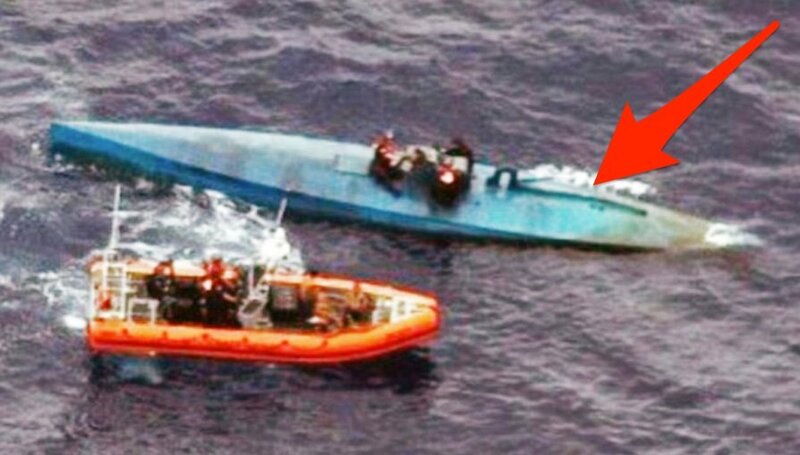 In a joint operation, the US Navy, US Coast Guard, and assets from the Customs and Border Protection Office of Air and Marine, intercepted a "narco-submarine" filled with more than 16,870 pounds of cocaine off the coast of El Salvador. On July 18, a Coast Guard cutter commandeered a self-propelled, semisubmersible vessel carrying 274 bales of cocaine weighing more than eight tons, according to a press release from US Customs and Border Patrol. 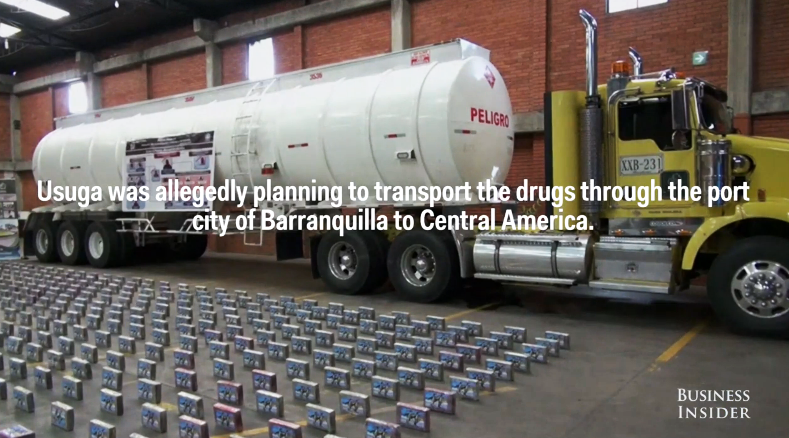 The four individuals found with the illicit contraband were detained by US authorities. 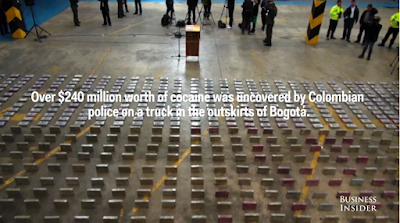 Mexican and South American drug cartels and their broader networks are entirely dependent on an ability to get their product onto US soil. And if there's one thing that these organizations are good at, it's changing their operating methods in order to stay one step ahead of the game. I am switching it up, with a little levity at the end of a long day. In Monterrey, Nuevo Leon, the Sinaloa cartel leader Joaquin "El Chapo" Guzman is the new star of piñata artists. El Chapo" appears in a khaki prison uniform, gun and grenade attached to his belt, there is an optional minuscule Donald Chump. Minuscule perhaps, to match the Mexican opinion of the blustering blatherskite. “I Make Home Made Tunnels"
The price of the Piñatas are 200-500 Mx Pesos, (13-32 USD) depending on the options selected. Nobody knows for sure how many children Joaquin El Chapo Guzman has fathered. The issue became news because after the escape of drug trafficker, federal authority established a line of investigation revealing around a dozen children, known of so far. What we know for example is that the youngest of El Chapo’s descendants is the son of Lucero Guadalupe Sanchez Lopez, current deputy in the congress of Sinaloa for the district 16 of Cosala. Similarly it is known that by the influence of El Chapo in the municipality of Cosala sierra of Sinaloa and territory of Guzman Loera, the lady Sanchez Lopez was appointed as deputy to the state congress. In other words the criminal chief would have corrupted the state structure of El PAN, by having appointed to the legislator, the mother of the known youngest son of El Chapo. 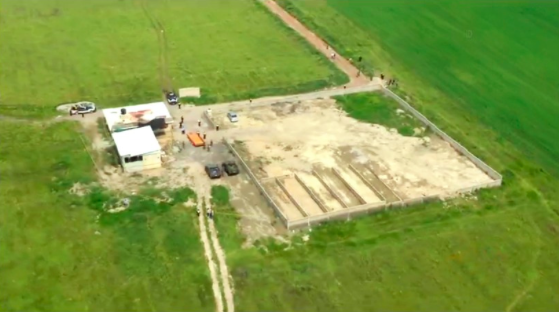 It is also known that Lucero Sanchez Lopez, visited El Chapo in the Altiplano prison in May 2015, where they decided on which nationality their son would have, Mexican or American. He was ultimately born in the United States in recent weeks. Consensus of 75 years of combined experience in the trenches of the drug trade ; "Chapo had been thrown back into the drug world to restore order"
Mexico's Attorney General Arely Gomez shows a picture of drug kingpin Joaquin "El Chapo" Guzman during a press conference on July 13, 2015. Although the government was quick to pronounce there were no shots fired and no conflict in the arrest of Semei Verdia, testimony and photos taken by citizens tell a different story. The sheer number of soldiers, including the Marina, Federal Police. and Army, hundreds of elements, was a tip off they were there to take Semei Verdia, no matter the amount of collateral damage. Reports coming from Aquila; The unarmed community formed a roadblock when they realized Semei had been arrested. They initiated dialog with the Marina, demanding the soldiers allow their leader to go free. the response was for soldiers to open fire, killing at least two, including a child, and injuring at least 4 other children (reported ages 4, 6, 9, 12, 15). Melesio Cristiano, 60 years was also killed. It appears another extrajudicial event has occurred. Soldiers opened fire everywhere, people reported bullets entering their homes, all of the killed and injured were reported as being in their homes when shot. Two other adults injured, one seriously another, a woman visiting the home was injured when a bullet grazed her head. 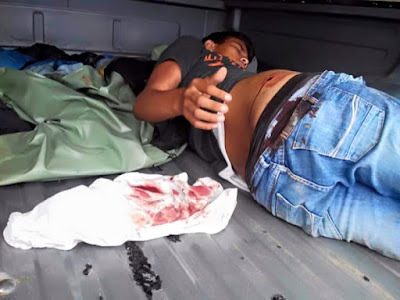 Semei Verdia has been one of Dr. Mireles’ greatest proponents, and has come under attack twice in the past year, attacks that resulted in deaths of members of his autodefensa group, known as the “coastal autodefensas”, and regarded as “genuine” autodefensas. Semei is a humble man whose sole interest is that of ensuring safety and peace for his indigenous community. Salvador Molina Navarro, the attorney of Dr. Mireles has stepped up to defend Semei. He is not a murderer, drug trafficker, he is not Chapo Guzman, but hundreds of soldiers were needed for his “capture”. 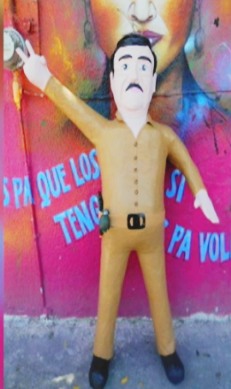 In what is reminiscent of the arrest of Dr. Mireles, Semei appears to have been set up. He was called to review the delivery of armored vehicles by the government, the Fuerza Rurales were to also attend the meeting. He was arrested on the spot. No Rurales were in sight. Semei was carrying one weapon when arrested, a weapon that was legal and registered. His arrest had zero to do with his weapon and more so because of his leadership. Like Mireles and Salgado, he became a strong, outspoken adversary to the transgressions of the government and organized crime. The community reports that the soldiers took with them their radio system by which they use to protect their community, (indigenous communal land). The soldiers also took the seal of the community council. The rebellion of the Zapatista Army of National Liberation (EZLN) in Chiapas in 1994 gave a strong impetus to the indigenous rights movement in Mexico by highlighting the particular system of disadvantage faced by so many Mexican citizens who continue to maintain an indigenous identity, not simply in terms of living standards, health, social welfare and access to public services but also in terms of enjoyment of political, civil and human rights. Telesur: Chapo back in in Jesus Maria, Sinaloa partying with wife and kids. 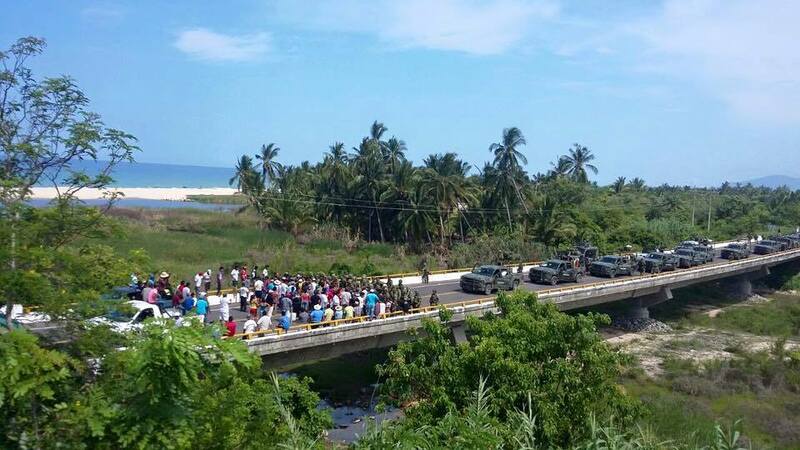 Forces from Mexico's Secretariat of National Defense and Mexican Marines arrested Semeí Verdía, leader of the michoacan coastal autodefensas today, Sunday July 19, 2015 in the town of La Placita de Morelos. Semeí was attending a meeting with the Fuerza Rural in the region. Semeí was immediately transferred to the Mexican Marine base in La Placita where he was then transferred via helicopter to the city of Morelia. Semeí Verdía Zepeda, along with the commander of the Fuerza Rural of Coahuayana , “Tetos” Héctor Zepeda, were summoned for a revision of the armored trucks that were given to them by the government. 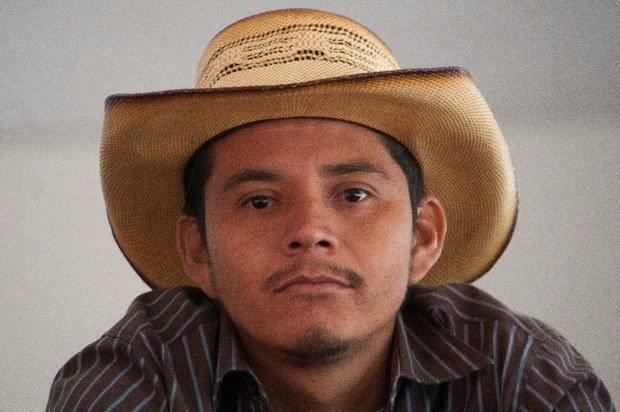 Héctor Zepeda did not show up to the revision and was not detained. During the last five years, Francisco Javier Arellano Felix is only permitted to leave his solitary confinement to meet prosecutors. 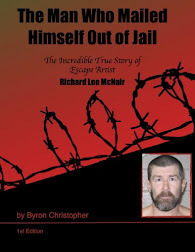 The rest of the time he is in his cell 23 hours a day, and is denied contact with any other prisoner. In exchange for details about the structure and functioning of the Cartel Arellano Felix (CAF), Police who were bribed both in Mexico and the United States and other drug traffickers, the youngest of the Arellano Felix brothers was promised to be " properly compensated", and so it turned out. In November of 2007, he was sentenced to a life sentence by the Judge Larry Alan Burns in the Federal Court of San Diego, California. 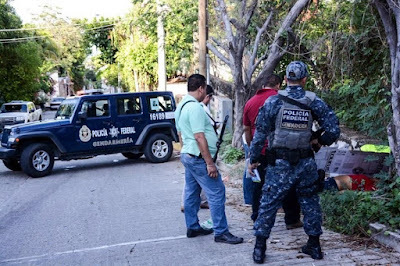 Narco trafficking, extortion, kidnapping, attempting to bribe authorities and committing homicides, were the crimes committed by Francisco Javier. 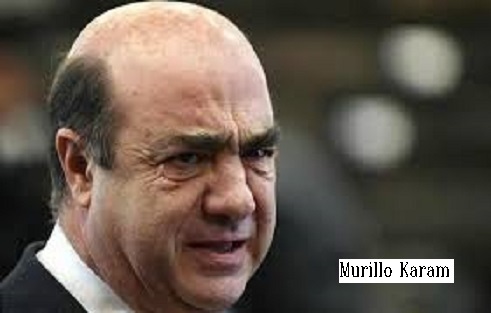 Since 2002, "El Tigrillo" had taken control of the activities of the CAF and ordered crimes perpetrated by this criminal organization in Tijuana as well as San Diego. According to the State Prosecutor of South California, " the activities of the cartel gave and destroyed the lives of thousands of people on both sides of the border". Borderland Beat posted by DD republished from the Globe and Mail. Special Thanks to one of our readers in Canada for e-mailing us this story. The woman’s body appeared in the middle of March. She had been left next to a sewage canal in Mexicali, a Mexican city that borders the dry and dusty Imperial Valley in California. There was a bag over her head, her hands and feet tied with duct tape. As of June 12, since the beginning of 2015, she is the eighth woman to have have been murdered. Still more have vanished without a trace. Mexicali, the capital of Baja California state, is not unique among border cities. All along the United States-Mexico border, women and girls are going missing. They are often of indigenous descent, brought north from impoverished rural areas by the lure of better economic prospects and the possibility of crossing into the U.S. There is also a strong element of structural racism that contributes to the apathy of Mexican authorities when indigenous women disappear, critics say. Sometimes they aren’t found, but other times their bodies turn up in the desert, desiccated by the heat, or dumped in trash heaps, or left under bushes. The murders of women have reached such epidemic proportions in the past two decades that a new term has entered Mexico’s lexicon: femicidio, or femicide. 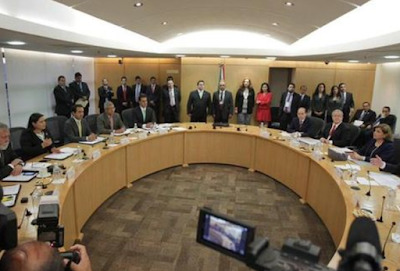 The Mexican government claims a massive backlog on missing and murdered women cases means many deaths remain unsolved. In Ciudad Juarez, a city across the border from El Paso, Tex., Marisela Ortiz Rivera is trying to make sure those stories are heard. She’s the co-founder of a group whose name translates into English as May Our Daughters Return Home, launched after her student, 17-year-old Lilia Alejandra Garcia Andrade, was abducted and murdered in 2001. She began the group with Lila’s mother, Norma Andrade.